If the renewal fee is not received in full by 31 May 2019, non-paying veterinary surgeons will be removed from the register. Restrictions on breeding have been put in place on the animals to limit the risk of the disease spreading, and further investigations are ongoing. Advances in veterinary surgical procedures has outstripped the supply of tissue such as bone, cornea and cartilage from cats and dogs. "… this case serves as a reminder to UK veterinary surgeons that we must be vigilant for conditions such as Leishmania in non-travelled dogs and that alternative transmission mechanisms do exist.” - RVC. Elinor O’Connor, of The University of Manchester, is aiming to identify what aspects of vets’ work can be demanding – and the resultant link to well-being. European champion athlete Laura Muir and “exemplary” VN Louise Northway lead this year’s recipients, who will receive their accolades at RCVS Day in July. Eligible veterinary surgeons can choose from nine candidates standing this year and vote online or by posting their paper ballot. Isolates were taken from four hedgehogs in Germany and commercially available biochemistry systems identified all four isolates as Corynebacterium ulcerans with cutaneous diphtheria. “I would like to make a real difference for people working in our industry as I know meditation and mindfulness really works…” – Angie Barca. Sessions will cover antimicrobial resistance and the BSAVA’s “Protect Me” resources, developments in pain management and managing biosecurity in a cat shelter environment. The British Horse Society has partnered with the University of Nottingham for a campaign (1 to 7 April) to highlight the early signs of the potentially fatal condition. CVO Christine Middlemiss said a 250% increase in the amount of certification work required for products of animal origin is expected in the event of a no-deal Brexit. Updated third edition of BSAVA Manual of Reptiles reflects the increasing sophistication of reptile medicine and surgery, says BSAVA. A specialist team at Eastcott Referrals successfully repaired a cat’s fractured jaw using a set of pre-made, 3D-printed titanium plates designed to “fit” the mouths of most injured feline patients. 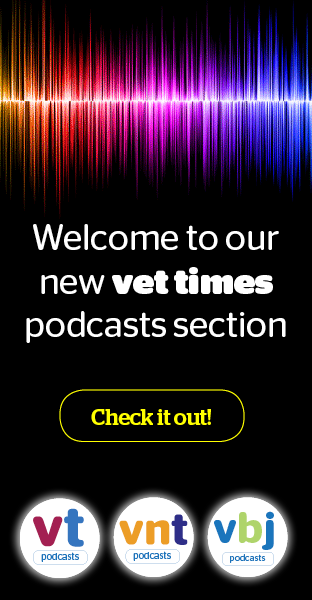 Vets Now brings in world-renowned consultant anaesthetist in human medicine Kevin Fong as keynote speaker for first staging at Royal Armouries in Leeds. StreetVet hopes to create a national directory to establish a listing of practices willing to help care for animals of the homeless in every major UK city. Five veterinary students have the opportunity to win an award of £1,000 for their research project, and an additional £1,000 top prize and £500 runner-up prize. The college has confirmed it will be replacing its operational board with a finance and resources committee, while members also voted to retain electronic voting protocols.